Hibiscus Aluminium and Glass cc was established in Durban in 1997 by a husband and wife team Kevin and Caroline Pillay .the company began manufacturing and specializing in aluminium windows, doors and other intricately designed items ..
After being awarded jobs on the South Coast, the couple re-located to the area , in Port Shepstone . A short while later, they built a factory in Marburg with a stunning showroom . Apart from KZN ,the company’s excellence in designer products attracted clients from the eastern cape. To offer a more efficient service, the couple expanded by opening a sister company called HAG Industries.. Their stunning office block in Umthatha (CK Business Centre) incorporated HAG’s office and showroom . To date HAG has supplied beautiful doors, garage doors, gates etc to a multitude of Eastern Cape clients . Recently, the companies’ expanded their range of products to stainless steel works as well . These stainless gates, fencing, balustrades are distributed from KZN to Eastern Cape and surrounding areas . Now customers can incorporate glass with stainless steel . 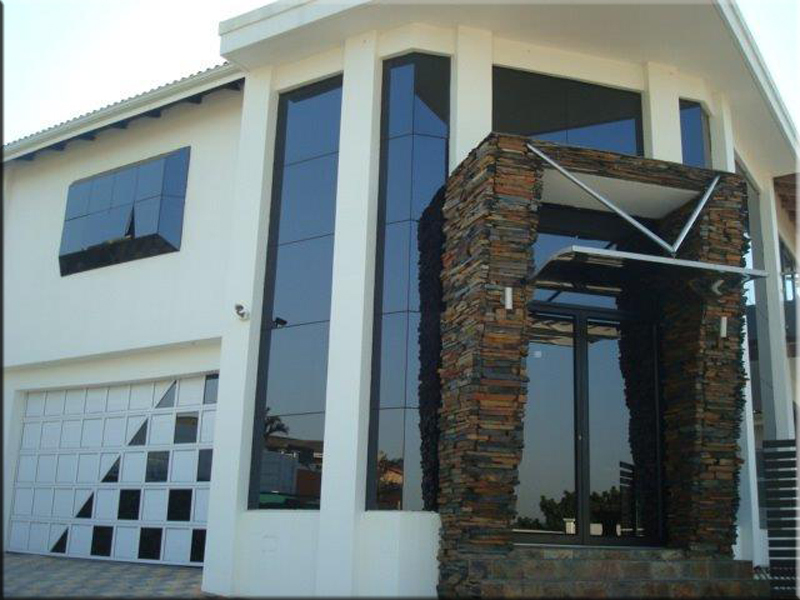 Hibiscus Aluminium and Glass is registered with the architectural aluminium manufacturers of South Africa (AAAMSA) …assuring clients that they get the best quality of material and workmanship when buying from the above companies .